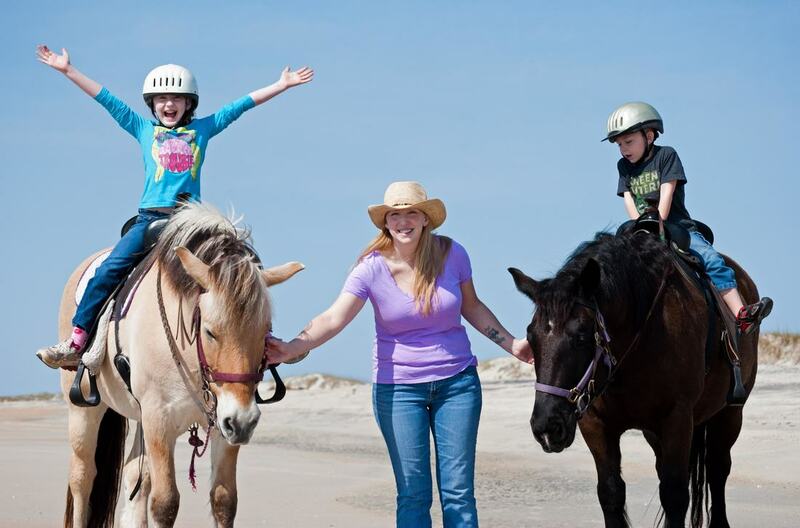 Family Horseback Riding for all ages! Horseback Riding 100% on the Beach! Pay for two riders and all others ride free! for an hour of family fun & memories that will last a lifetime! Our horses are safe, calm and kid friendly. Available times fill up fast so call and schedule today!